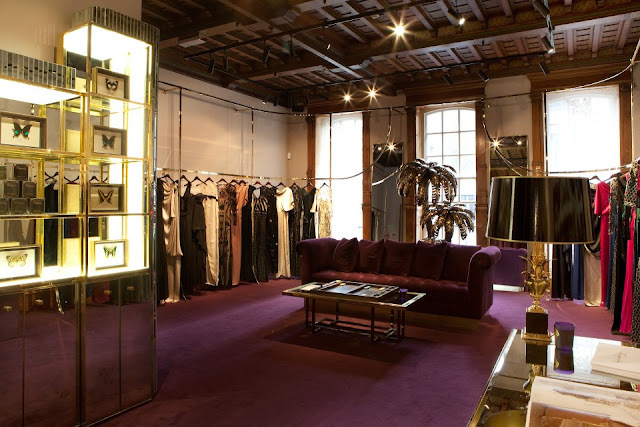 Design and architecture company Found Associates have designed the flagship store for fashion label Alice Temperley in London. 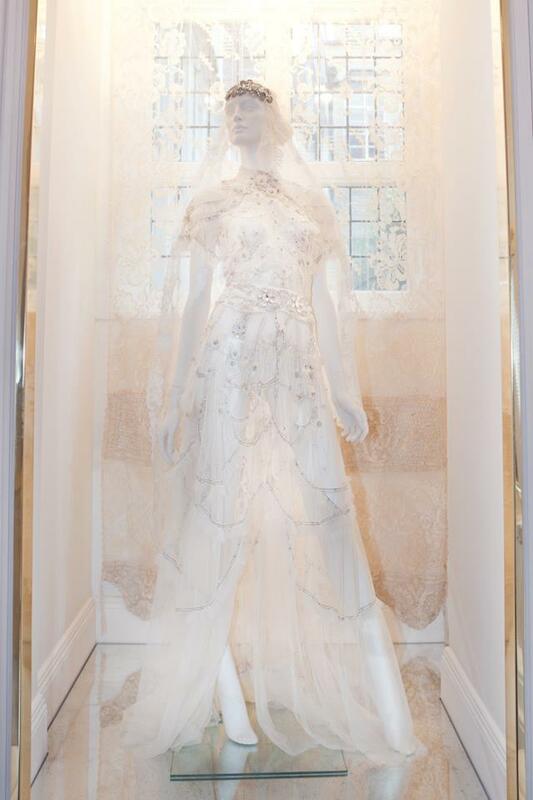 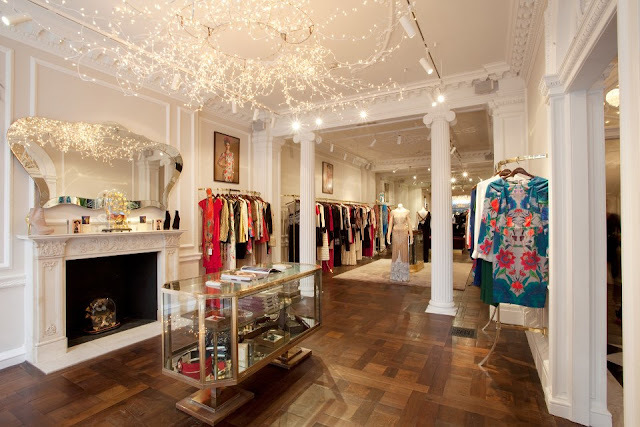 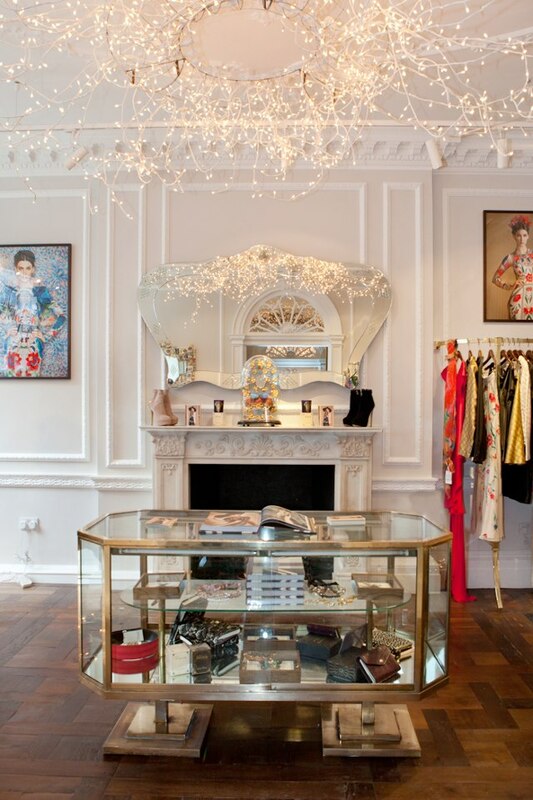 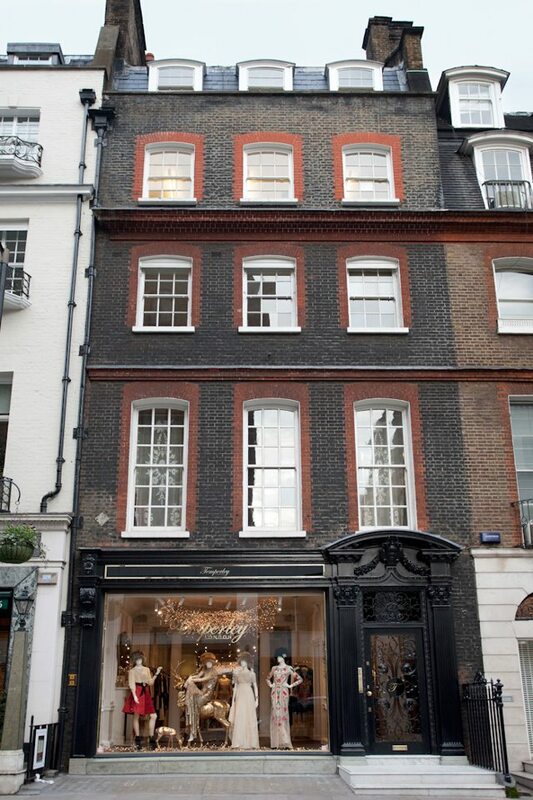 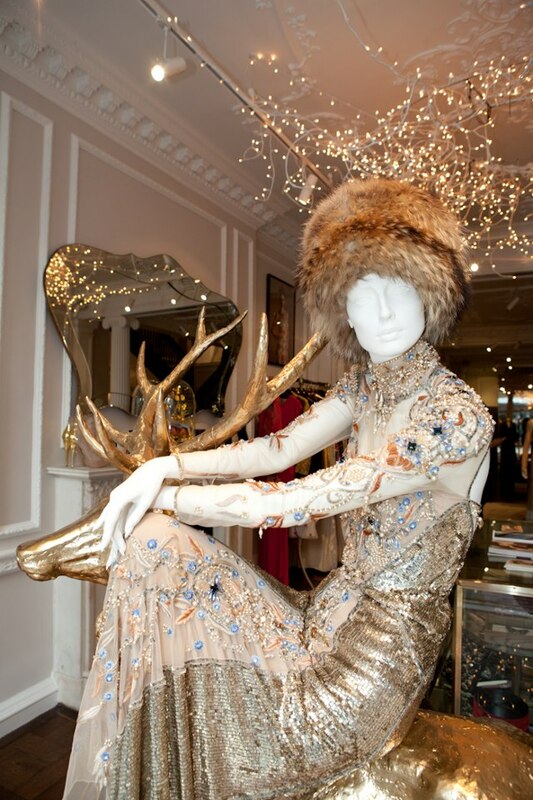 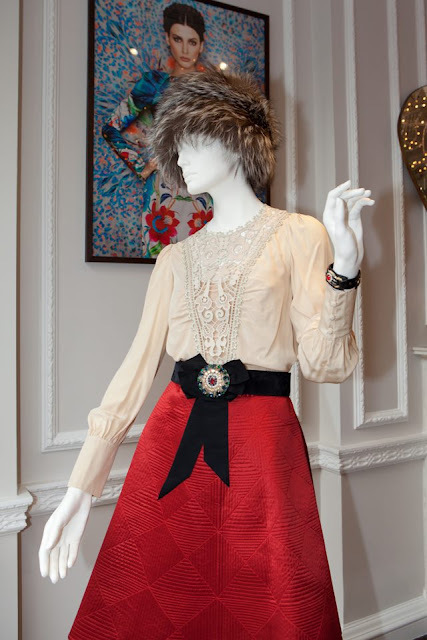 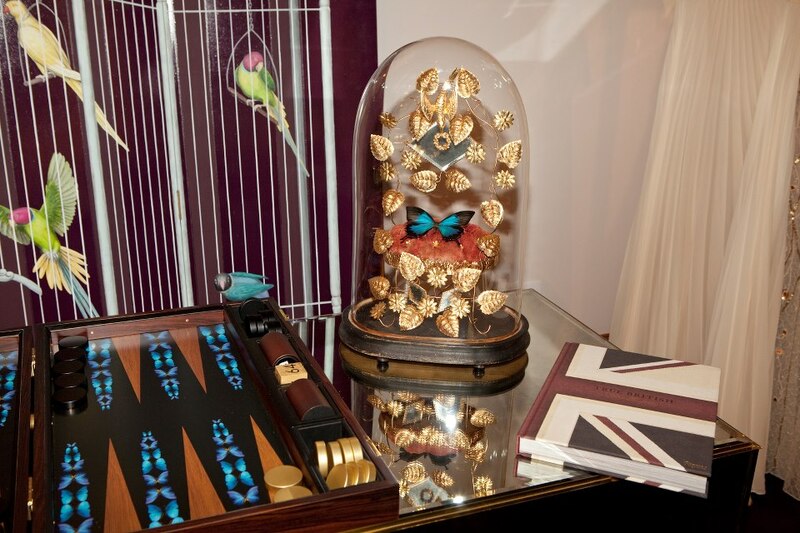 Located in a Grade II listed, six-storey Georgian town house at 27 Bruton Street in Mayfair, the store houses the three Temperley collections (Temperley London, Temperley Bridal and ALICE by Temperley), as well as the brand’s offices. The store design direction draws inspiration from traditional and Art Deco art while retaining and complimenting the existing Georgian features. 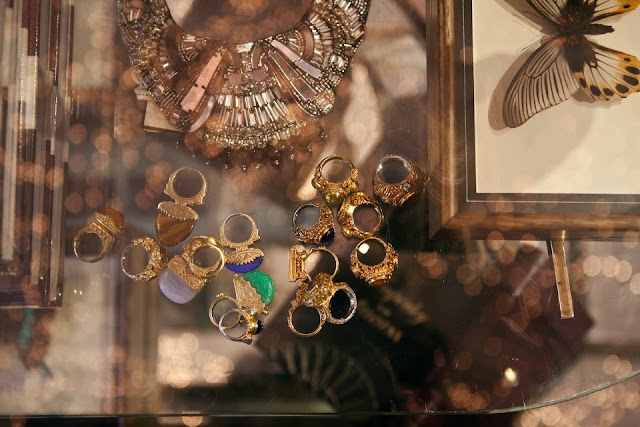 This effect is achieved by using a heritage palette of colours and luxurious materials such as decorative brass metalwork in objects such as the hanging rails.